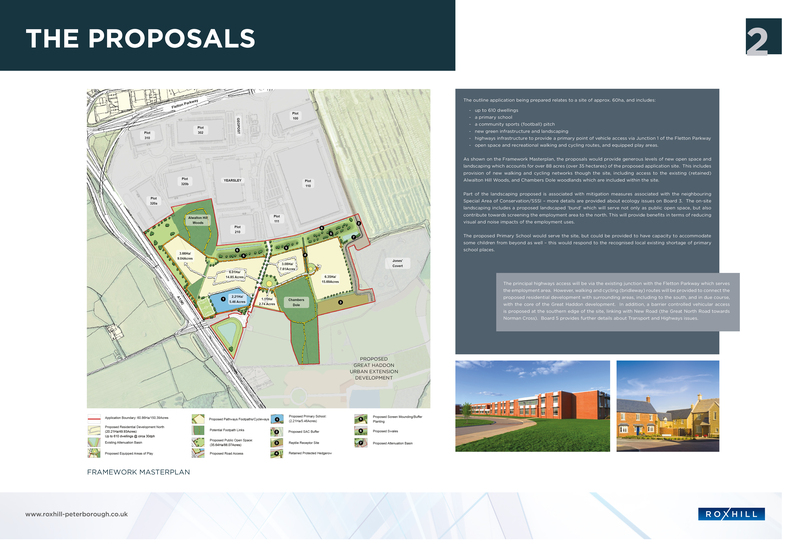 • open space and recreational walking and cycling routes, and equipped play areas. 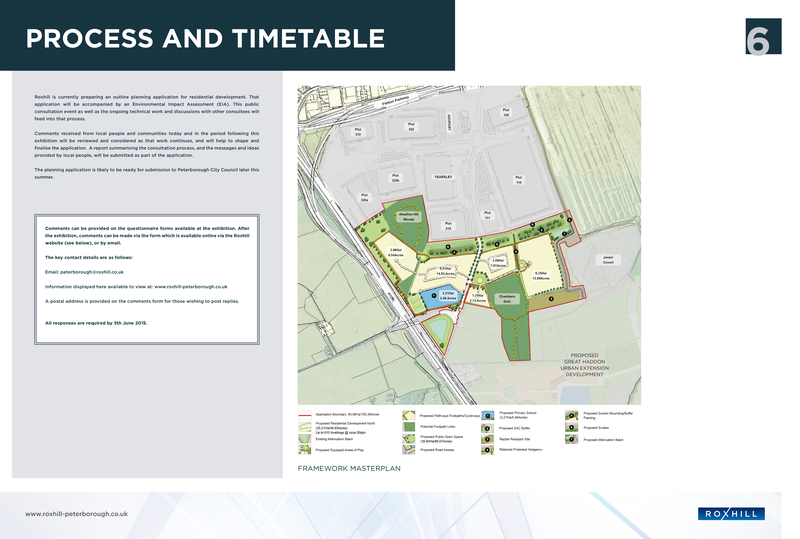 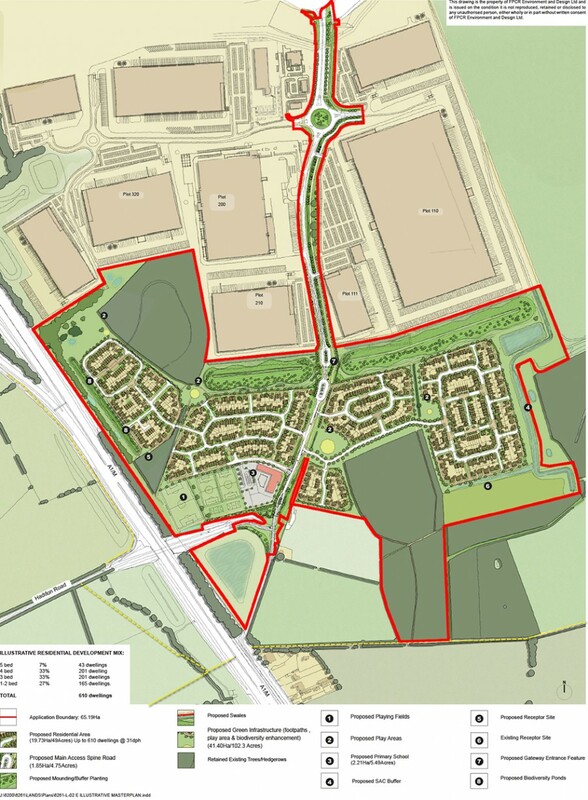 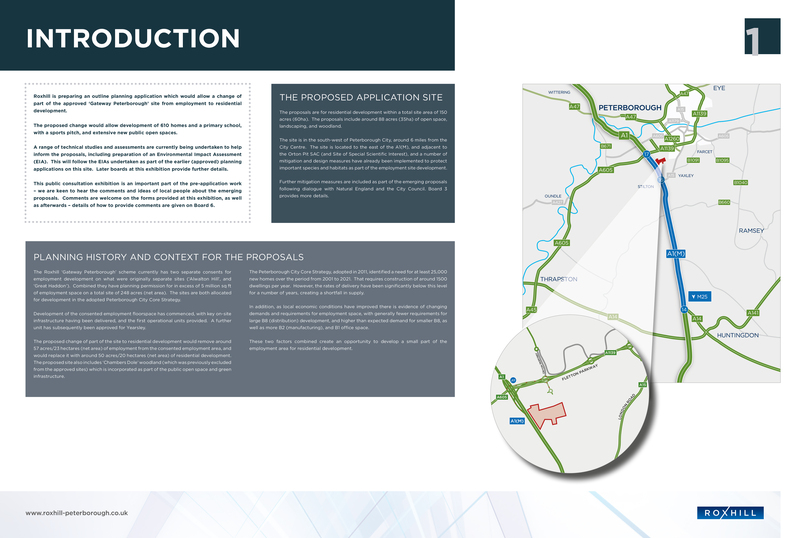 The proposals include provision of over 35 ha (88 acres approx.) 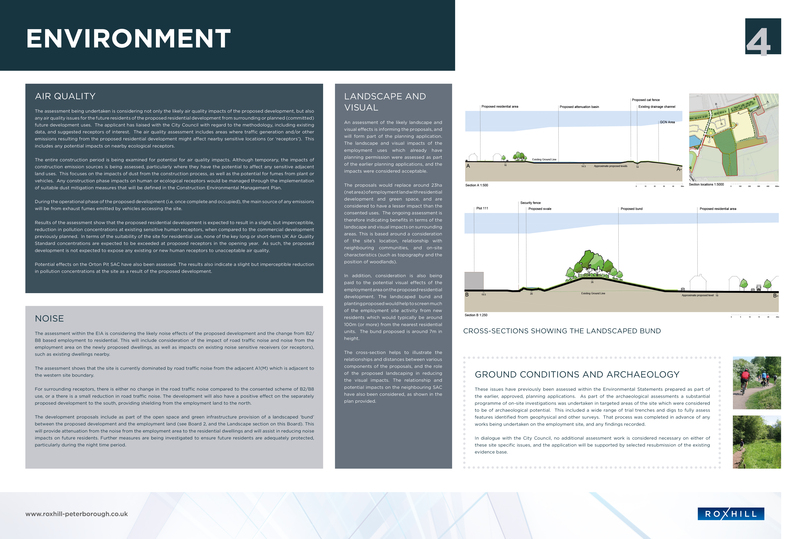 of open space and green infrastructure on-site. 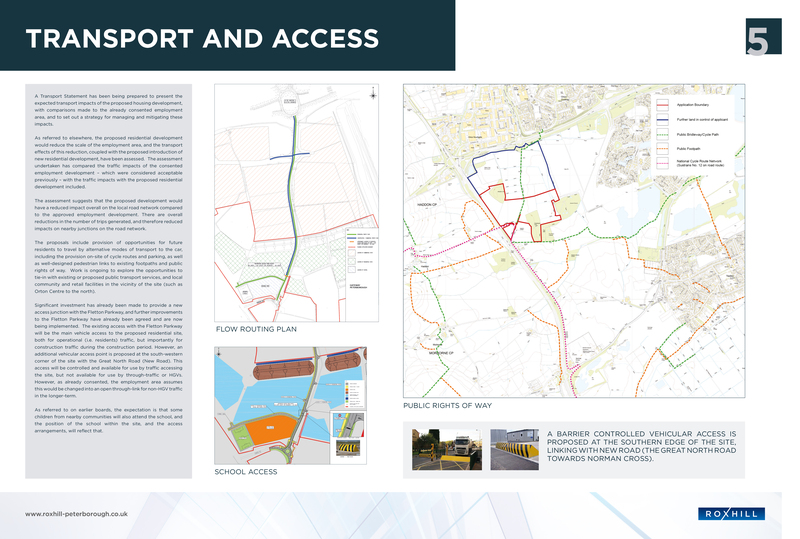 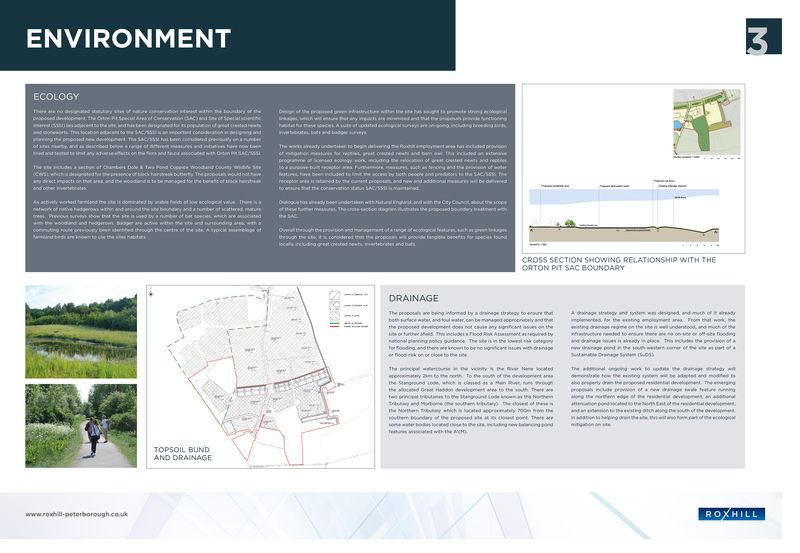 This area includes the existing Chambers Dole, and Alwalton Hill Woods woodland areas, and overall green infrastructure and landscaping represents approximately 60% of the total application site area.